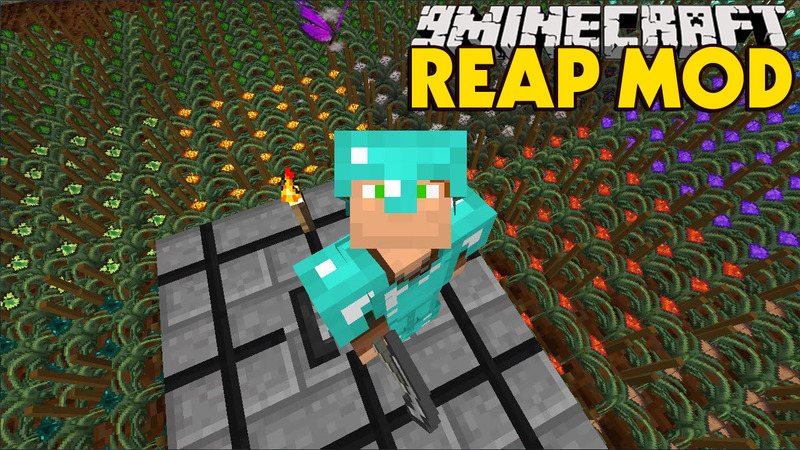 Reap Mod 1.13.2/1.12.2 adds a function that harvests crops when you right-click them. Trees are now harvestable too. If you break the bottom log of a tree while not sneaking, the whole tree will be harvested. It also works with other mods that are adding other crops or trees to Minecraft. In the config file you can define which crops can be harvested or not. The tools to break trees and the log types are also configurable.